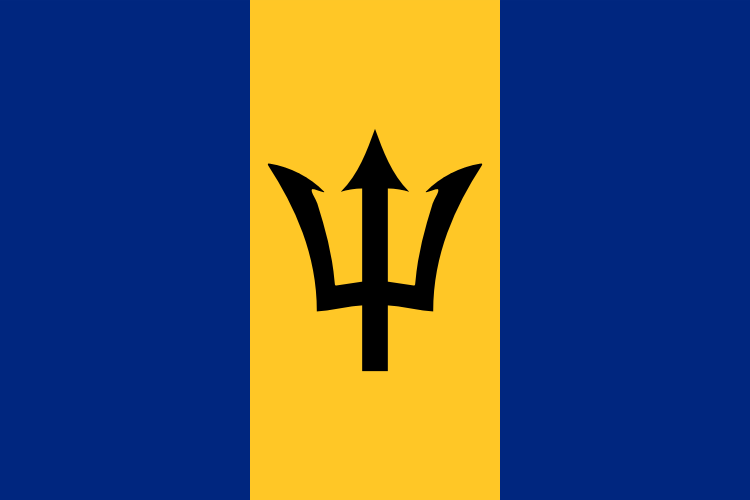 The flag of Barbados. Improved trident image by User:Denelson83. This file has been (or is hereby) released into the public domain by its author, Cezary Biele. This applies worldwide.